Adaptation to climate change is a major challenge facing the viticulture sector. 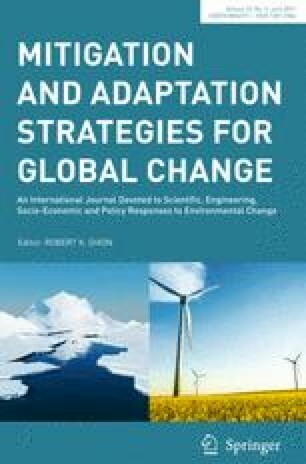 Temporally, adaptation strategies and policies have to address potential impacts in both the short- and long term, whereas spatially, place-based and context-specific adaptations are essential. To help inform decision-making on climate change adaptation, this study adopted a bottom-up approach to assess local climate vulnerability and winegrowers’ adaptive processes in two regulated wine-producing areas in the Anjou-Saumur wine growing sub-region, France. The data used for this study were collected through individual semi-structured interviews with 30 winegrowers. With a focus on wine quality, climate-related exposure, and sensitivity were dependent on many contextual factors (e.g., northern geographical position, wine regulatory frameworks, local environmental features) interacting with the regional oceanic climate. Climate and other non-climate-related variables brought about important changes in winegrowers’ management practices, varying in time and space. This ongoing process in decision-making enhanced winegrowers’ adaptive responses, which were primarily reactive (e.g., harvesting, winemaking) or anticipatory (e.g., canopy and soil management) to short-term climate conditions. Winegrowers described changing trends in climate- and grapevine (Vitis) -related variables, with the latter attributed to regional climate changes and evolving management practices. Regarding future climate trends, winegrowers’ displayed great uncertainty, placing the most urgent adaptation priority on short-term strategies, while changing grapevine varieties and using irrigation were identified as last resort strategies. The study concluded by discussing the implications of these findings in the context of climate change adaptation in viticulture. This study was carried out with the contribution of the LIFE financial instrument of the European Union, as part of the LIFE-ADVICLIM project (LIFE13 ENV/FR/001512). This study is also part of the French national LACCAVE-project. We are grateful to the winegrowers from Coteaux du Layon and Saumur Champigny and thank them for their time and participation. We are also thankful for the financial support from FranceAgriMer and InterLoire (Interprofessional body for Loire Valley wines).